RUSH: This is Railey in Ferndale, California. She is 16 years old. Hi, Railey. Welcome to our program here. RUSH: (chuckles) Well, here you are. I’m glad you made it. CALLER: Well, I just want to thank you for everything you do and the journalism aspect. I’ve been trying to learn more about journalism because of you. I want to go to college and study it and maybe be on Fox News one day. I’ll try my best to. (giggles) But you’ve really shown me to try your hardest at something and don’t be afraid, you know, of, you know, liking Trump or listening to you, ’cause I’ve gotten called lots of names for listening to you. I’ve had my own sister say that, “Oh, well, only retired people listen to talk radio.” That’s not true! RUSH: — and 48% of this audience is female. I mean, there’s so many things that people believe about this program and talk radio in general which are not true. We couldn’t have an audience as big as it is nor as successful as we are if it was made up of people that didn’t have any money. We wouldn’t be working the way we are as successful. So none of that’s true. You can tell your sisters that they need to do what you’ve done and open their minds and be a little curious and stop believing cliches. CALLER: Well, I will definitely do that. But you just… I mean, my uncle has listened to you for the 31 years or however long you’ve been on the radio. He listens to you every single day while he’s out in the garage fixing his car, and my mom listens to you every day. And I’m homeschooled so I’ve gotten the opportunity. CALLER: You know, you’re like history class. CALLER: So I just go and listen to you, but I really… I’ve learned a lot from listening to you, and you haven’t… I mean, I like how you never back down and you… Just this morning, I was like, “I’m so glad someone’s getting’ sick of the Democrats talking about the Republicans like they are causing everything,” you know? RUSH: Yeah. I’m glad you heard that. 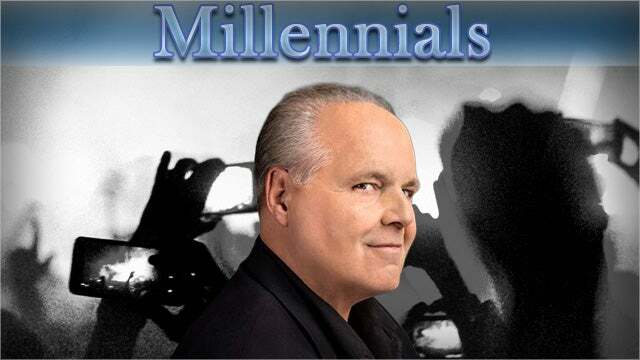 RUSH: These were adults that asked him that question? RUSH: Do you think that was kind of rude? I mean, here you are… Do you look 16 or do you like a little older than that? RUSH: Okay. So they walk by and they see a teenager there, and they still feel a need to insult you. Mildly in their world, but I’m sure they felt the need to insult you. RUSH: You couldn’t possibly have a mind of your own if you were doing what you were doing. 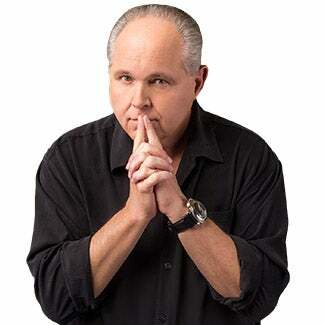 RUSH: Well, I’m curious about something. I am very flattered. To no end am I flattered here that you would want to be something super and exceptional, having listened to this program. Why journalism? RUSH: Well, good for you! There are a lot of people, a lot of parents who have kids your age and younger who are really scared about the future of the country. It’s always been the case. My whole life, I have heard people say — throughout my life — that they don’t want to have kids. “Who would dare want to bring kids into this world?” That’s some… I remember hearing that when I was 15 myself. So it’s nothing really new. But I’m sensing today when people say there is a… People who have kids, not so much don’t and are thinking about it. People who have kids are really, really worried about their futures because of the way the left has become more radical and more anti-the general concepts of America. It’s scaring people. What kind of country are their kids going to grow into! I mean, there’s always gonna be an America, but what’s it gonna be? Are they gonna be free? Are they gonna have to conform to some of this extreme, wacko leftism in order to not be hassled all of their lives? There’s some genuine fear about it. So if you want to tackle that, more power to you, and journalism needs people like you in it. 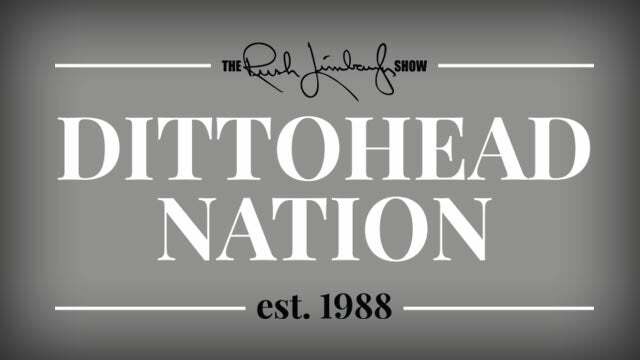 RUSH: Why do you think that’s happening? Why do you think so much attention is being lavished on the people you refer to as illegals, coming here who are not citizens but yet being granted access to so many things, given so much? Why do you think it’s happening? CALLER: Well, there’s a lot of reasons. For one thing, Obama made it, “Oh, just come on in,” you know. But I think it’s just because they think — they see — “Well, oh, we’re gonna go there and nobody’s gonna stop us.” You know? Well, maybe the military is gonna stop ’em this time. RUSH: Well, no. I understand why they’re coming. Why do you think there is so much tolerance for it? Why do you think so many people are wanting them here and want to do nothing to stop them from getting in? Why do you think there’s so much tolerance for the illegal aspect of this? 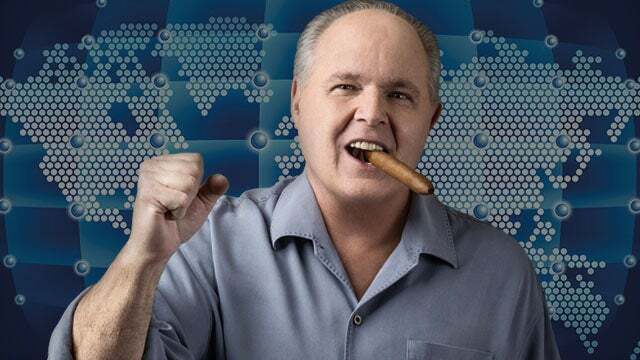 RUSH: The answer is that they work cheap, No. 1. For the people that want them here for the cheap labor, cheap labor is the answer. The other side of it, you talk about the people that don’t want to give them money. The people who are behind these policies are damn well making sure that you and others are gonna give your money. They’re not gonna be giving theirs. But the answer to the question is: Because the left wants power. And power to them is more and more people incapable of self-reliance. More and more people incapable of helping themselves, and the best most concentrated group of people that fit that bill are a bunch of poor, ill-educated, or uneducated people who don’t even speak the language, flooding the southern the border. You get ’em in. They’re human beings and we’re a compassionate country. They have to be fed. They have to be taken care of. The Democrats want the credit for doing all that. They want to get these people registered to vote as quickly as they can. They’re looking at ’em purely and simply as voters. It’s not about compassion, and it’s not about giving them a good life. It’s not about any of the things that they want you to think it is. It’s strictly about creating… Let me put it to you this way, Railey. The Democrat Party — and do not doubt me on this. When you research your journalism career, you will find that this is the case. The Democrat Party needs a permanent underclass of uneducated or poorly educated people who are not capable of economic self-reliance. Because they can’t speak the language. Because they don’t have any education. Those are prime Democrat voters. Those are the exact kind of people the Democrats want to build a majority around, because they will be forever grateful (i.e., dependent) on Democrats and will constantly be voting for Democrats no matter what else happens. That’s the reason behind it. Nobody will ever own up to it. Nobody will ever admit it. But what they are, really, is just undocumented Democrats. It’s not that they’re undocumented citizens or aliens. They’re undocumented Democrats. That’s their status right now. And the objective is to get them documented, to get them registered, and to take care of ’em. Give them health care. Make their trek here, make their trip here worth it by giving them exactly what their coming for. Now, some of them are gonna be able to take care of themselves. Some are gonna get here and they’re gonna run rings around people. In any group of people that large, you’re gonna have a disparity, and some of them are gonna be quite competent. But those are gonna be the self-starters, and those are not the people the Democrats are interested in. I think it’s really hideous. I think it’s really hideous. The Democrats want people, need people who are incapable of self-reliance, and that’s not helping those people at all. That is not compassion. Democrats want you to think that’s all they are, and they are none of it. It’s the exact opposite. They are using these people and hoping that they never amount to much. They don’t have much faith in ’em anyway. But they are great voters, great dependent voters in their eyes. So that’s what this is about. Look, I’m glad you called, Railey. You are exceptionally well spoken. Your homeschooling is working, and I hope that you do get into journalism, ’cause journalism needs people that are interested in the truth. RUSH: How many sisters do you have total? RUSH: Oh. So you have one younger and one older? Well, no, two older. CALLER: I have two younger than me and then one older than me. The older one, she’s 27. She’s a total, like, Millennial leftist. CALLER: So I’m trying to convert her. (chuckles) But it’s taking me a long time. RUSH: Well, keep trying! Keep trying! You can have fun doing that, actually. I gotta go ’cause I’m way long but in the meantime, I want to give her a comp subscription to the website and newsletter. So don’t hang up here, Railey, so we can get everything we need from you for that. Next articleIt’s the Democrats Who Pal Around with Anti-Semites!